Lifting weights from home makes sense. If you have a bench and some dumbbells you can do whatever exercises you want to work whatever muscles you are targeting. Getting a quality cardio workout from home, however, can take a little creativity. Unless you have a treadmill or elliptical in your garage. Even then it’s nice to have options. I get bored easily, doing the same workouts week after week doesn’t work well for me. Jogging along on a treadmill can become very monotonous and your body will adapt as well, giving you less payoff for the work you are putting in. 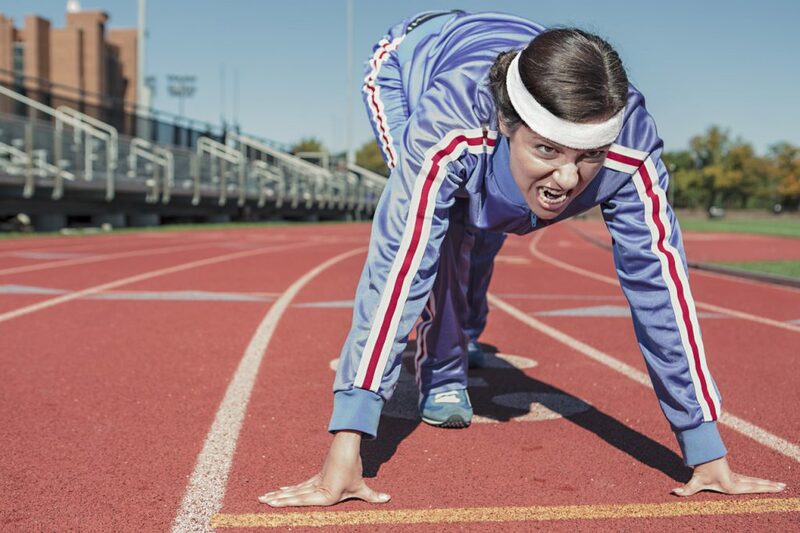 Switch things up with these cardio workouts from home! Some equipment may be necessary (mostly dumbbells), but there are options that only require your body. Rules: Perform each exercise for 60 sec, no rest between exercises. Rest for 60 sec after completing all exercises. That is 1 set. Aim for 3 sets. Mountain Climbers: Starting from straight arm plank position, quickly bring one knee up toward chest and return to starting position. Repeat with other leg. Alternate legs rapidly back and forth. Squat Jumps: Start in squat position, legs slightly farther apart than shoulder width. Bend knees and squat down like sitting in chair, as far as comfortable. Explode up and jump off of floor. Land gently and repeat. Lateral Jumps: Start with feet together, jump laterally (imagine jumping over a broom) from side to side as rapidly as possible. Plank: Start in push-up position with arms straight, keep core tight, try not to let hips sag toward floor. Hold position for 60 sec. Burpee:Start in standing position, squat down putting hands on floor and jumping into push-up position. Do push-up. Jump feet back under body into squat position. Explosively squat up and jump off of floor with hands above head. Rules: Do each exercise for 30 sec, rest 30 sec between exercises. That’s 1 set. After each set, decrease rest time between sets by 5 sec. Keep going until you are not resting at all on last set (set 7). Hip Thrust– Place upper back on bench, with feet flat on floor, knees bent to 90 deg. Squeeze gluten and lift hips until they are in straight line with body. Return to starting position, repeat. Standard Push-up– you guys know this one! Goblet Squat– hold dumbbell in front of chest, feet wider than shoulder width apart. Push hips back and squat down, return to starting position. Dumbbell Row– hold pair of dumbbells, bends hips and knees until body is about parallel with ground. With dumbbells hanging in front of you, bend elbows and pull weights up to the sides of your body. Lower weights and repeat. Walking Lunge-Starting from standing position, take big step forward with right leg, bend knee (keep left knee straight). Stand up and repeat lunge with left leg, walking across room while lunging. Dumbbell Swing– Think kettle bell swing, but use dumbbell instead. Standing with feet about shoulder width apart, hold dumbbell in both hands in front. 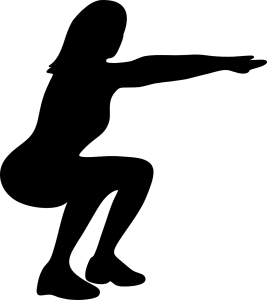 Squat down bringing dumbbell between legs, thrust hips forward as you straighten knees and swing dumbbell up to shoulder height. Repeat. Rules: Exercises are paired. Do first exercise for 20 sec, then rest for 10 sec. Do second exercise for 20 sec and rest for 10. Repeat each pair for 4 min. Rest 1-2 min between pairs. Rules: Perform jump indicated for 60 sec. Rest as needed between jumps. Rest 2 min between sets. 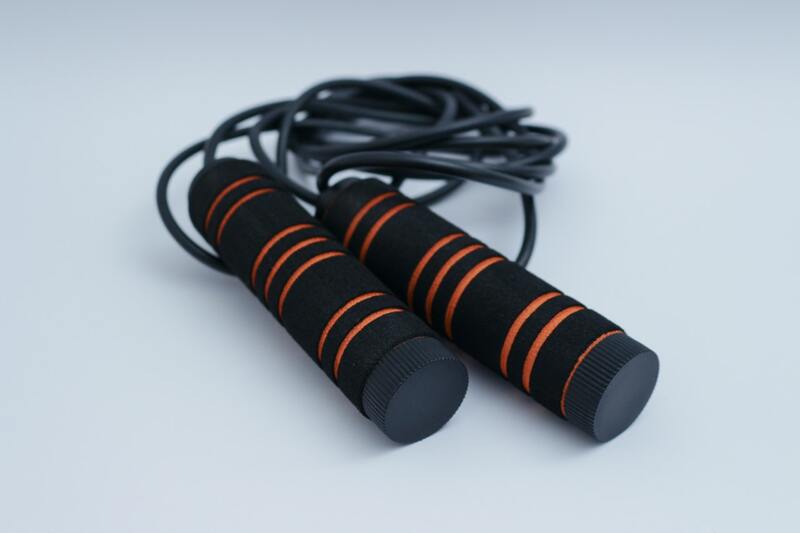 This workout is good for folks who are already proficient at jumping rope. Rules: Pick one upper body exercise and one lower body exercise from below. Perform 20 reps of one and then 20 reps of other. Next do 19 reps of each, and then 18, and so on until you work your way down to zero for each exercise. Rest only as needed. Shoot for two rounds. Cut Rest Times, Turn Any Workout Into a Cardio Workout! You probably noticed the above workout have something in common: short rest times between exercises! Decreasing the rest between exercises keeps the heart rate elevated, exactly what a cardio workout is intended to do. That’s where the “cardio” part comes from (from cardiovascular, i.e. heart). You can easily turn any weight training routine you are doing into more of a cardio workout by cutting your rest times in half. Decreased rest times will lead to increased calories burned (during and after workouts), increases in fat burning, increases in metabolism, as well as improvements in overall endurance and conditioning. Resources: a lot of the ideas for the above circuits came from circuits I have tried from Men’s Health and Mens Fitness, with a few changes I prefer. Great resources. Give these workouts a try, or come up with your own combinations and let me know how it goes with a comment. Good luck! Is the TRX Training Kit the Only Piece of Equipment You Need? These are all awesome workouts. If you do these regularly you will have unstoppable energy. When I was a young man I did these all the time. I also use to like to run suicides which are wind sprints. Thanks for reading Ronnie. I’m glad you have experience with these type of workouts and the gains you can experience. Running sprints is a great cardio workout, and I’ll make sure to include a post on running workouts soon. Thanks again! Thanks for the wealth of tips you provided here. I always laugh when I tell people about the first time I made this mistake while trying to workout in the house. You see, I’m 6’4″ and my ceilings aren’t particularly high. 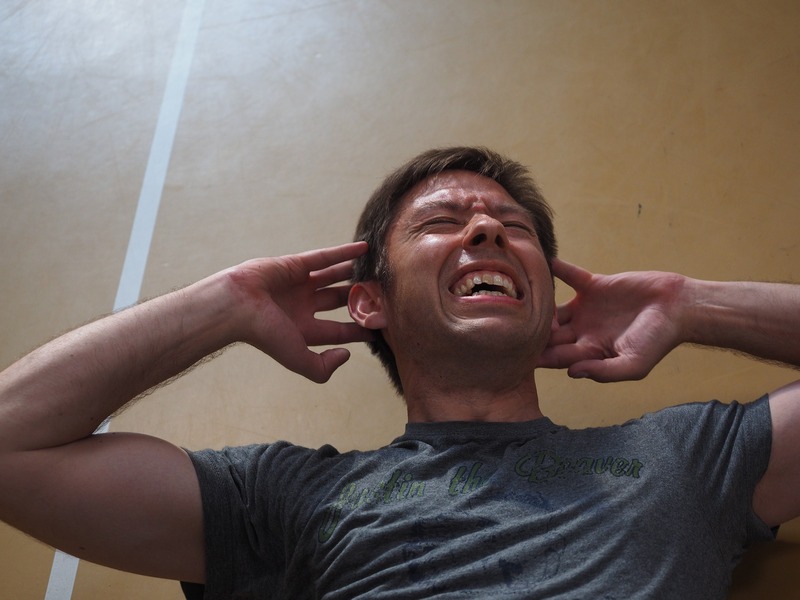 I was trying to do some of the burpees that you speak about in your article. Well, I jumped up and hit my head on the ceiling fan light. It hasn’t spun right since. Anyway, I like the body-weight exercises you mention here. It doesn’t have to be fancy to work. Hi Neil, ha great story man. Yea we definitely need to be careful working out in the house! Thanks for the comment. I am a student athlete who lifts four times a week. You are right, sometimes doing the same routine might get very tiring. However, I do enjoy lifting as it makes me feel very strong and powerful lol. But this webpage is very interesting and will be very useful for me as I plan to lift less when I graduate from college. Hey Bose, thanks for the feedback! Glad to hear you are lifting so regularly, I also enjoy lifting weights and the way it makes you feel. Stay tuned for upcoming posts are weight lifting routines, take care! I just notice that there are so many exercise can be done at home. All I did at home is crunches and push ups and it gets bored after a while. Looks like I can rotate on a daily basis on the 5 workouts that you mention above. Great post. Thanks for that. Thanks for the comment Jay, yea no reason working out at home has to be boring. I will be adding new routines regularly. Thanks again! Thank you for your post! I gained some fat and I would be glad to get rid of it. I am going to take this workout. Can you tell me how many times a week should I practice it? Depending on what your fitness level is, I think 3x a week is a good place to start. You can do the same workout each time, or switch it up and try a different one each day. Which workout are you thinking of trying? Either way, start with 3x, work your way up to 4-5. Just remember, these workouts are pretty intense, gradually work your way up.